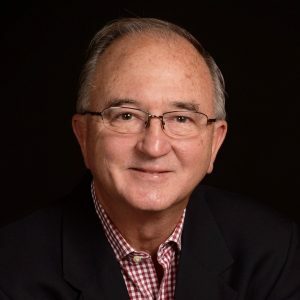 Stuart Gustafson is an accomplished public speaker whose skills were honed as he was presenting 8- and 9-figure services engagement proposals to C-level executives while working for Hewlett-Packard. After his early retirement in 2007, he spent some time with his mother, then age 90, and he’s been busy writing books, traveling, and speaking on cruise ships. He’s said that, One of the greatest thrills is to speak to a standing-room-only audience in an overflowing cruise ship theater when the guests have plenty of other options. He also speaks on land, so if you recognize the benefits from having America’s International Travel Expert® participate in your next webcast or live event, CLICK HERE for more information. Unlike many other speakers, Stuart doesn’t present a canned speech where the only things he changes are the name of the organization and the city. Stuart works with you to understand why you’re having a speaker come in, what goals do you want accomplished, what takeaways do you want the audience to leave with? It might be as simple as wanting an entertaining talk for a group of potential travelers — that’s fine, but don’t you still have a goal? Are you a tour operator and you’d like some of the audience to sign up for your trip? Then one of your goals is “sign ups.” Knowing that, Stuart inserts soft-sell messages in the talk, giving the audience reasons why they need to go on that trip. After all, his U.S. Registered Trademark America’s International Travel Expert® will capture interest, enhance legitimacy, build trust, and create desire. In the end, that means more results for YOU! Are you with a government or non-profit organization whose budget doesn’t permit paying for speakers? Being retired allows Stuart the flexibility to be able to work with you to create a plan that will work for you. Send him an email, and Stuart will contact you and begin to develop a program that WORKS for YOU! Looking for a Motivational Speaker? Rather than using the standard textbook motivational approaches, Stuart incorporates activities that resonate with your audience so they become internally motivated. Planting “seeds of motivation” inside employees, associates, and volunteers yields much greater positive results than forcing Motivation onto them. So why don’t you take the softer, more productive approach by having Stuart lead the audience to a sense of internal motivation? When they feel it coming from their own insides, they are more inclined to do the right things than when “management” is telling them to do the same thing. These three areas might seem like strange bases for talks, but Stuart uses them in metaphorical ways to present your goals, create the results you’re seeking, and to instill that inner desire to perform. It costs nothing but a brief chat on the phone with Stuart to determine if there’s a good fit with your goals and what he can deliver. Send him an email and he’ll be in touch with you.